This is a collectors masterpiece, any defect MUST be reported within 24 hours of receipt and the factory tags MUST still be attached, NOT reattached, any return MUST be shipped back within 48 hours of receipt. Borsalino Premium Classic Fur Felt Fedora is one of our favorites. Made in Italy the Borsalino Premium Classic Fedora features a 2 7/8″ brim, slightly lower crown than the Borsalino Como, satin lining, genuine leather sweatband, and silk grosgrain hatband with Borsalino gold embossed name. This hat has a very soft feel. 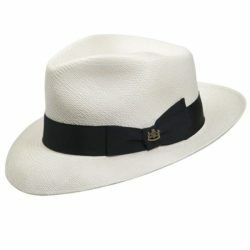 It is the classic fedora shape with a pinch front and center crease in the crown, and a satin lining . Naturally weather resistant (do not enclose when damp or wet), the Borsalino Classic Fur Felt Fedora is among the finest hats available. Carefully shipped, quickly, usually the same day at no charge in the USA or Canada. By Kangol-The Mesh Stripe 504 is the perfect summer 504 option. Featuring an all-over open knit construction of small holes & 2 stripes down the left side. The cap is a fully fashioned seamless knitted blocked construction and crafted using a combination of Tropic & Bamboo yarn for a soft hand feel. ith eco-friendly 3XDRY® Bio fabric to offer maximum moisture repellency, our ultimate sailing hat is perfect for those long days on the open water. Taking years of learnings from our Airflo® Collection, the TP100 Polaris adds new features like a stowaway sun shield (cape) to protect your neck and shoulders, and sunglasses holder to keep them safe on rocky waters. Offering you the ultimate hat for any water expedition. 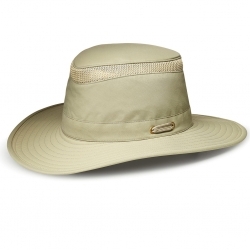 Stowaway sun shield to protect your neck and shoulders – it rolls up in the brim when not in use! Care: Hand wash cold, use mild detergent. Reshape and air dry. Do not bleach. Remove wind cord and foam from crown pocket before wash. Do not use softeners. Do not iron. This high-class Greek fisherman cap is made from the finest leather. The bill features a decorative black brocade, and the front also features black decorative braid. 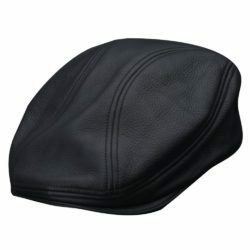 It is satin lined for your comfort and the hat’s protection. 100% Premium Fur Felt, only 50 Grams, roll up packable,soft as can be and light as a feather, pinch front with center crease, Limited Edition, lapel pin attachment and decor, discreet “Borsalino” in gold on the hatband ribbon. This ships in a Holland Hats Travel Hat Box. BAILEY TINO LITEFELT® FEDORA – The Bailey of Hollywood Tino is made with our famous LiteFelt® finish, a revolutionary treatment process that takes a natural unstiffened premium wool felt hat and makes it water repellent and shape retentive. LiteFelt® adds a tough and indestructible element, combining style and function and is Bailey’s best-selling finish. This hat is our best seller year after year! Laser etched logo. Nailhead detail on Japanese grosgrain. Comfort sweatband. Removable feather. Made in the U.S.A.
Biltmore Panama Supreme Fedora with Biltmore Hatbox – The Biltmore Panama Supreme. This premium quality Biltmore Panama features a 2-3/8″ brim, soft genuine leather sweatband (hard to find in panama hats), removable Biltmore hatpin, pinch front and center crease. Bleached and trimmed with a black ribbon hatband. Proudly made in Canada with a look and feel of distinction. 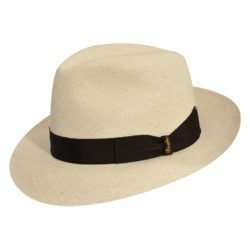 Biltmore Quito Downbrim Panama Fedora – The Biltmore Quito Authentic Panama featuring a 2 3/8″ finished brim, soft genuine leather sweatband, grosgrain hatband with removable Biltmore hatpin, pinchfront and center-crease. Biltmore Montego Panama Pork Pie – The Biltmore Panama – The Montego Authentic Panama Hat is hand woven in Ecuador and finished in the USA. 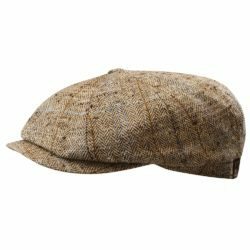 This premium quality hat features a traditional “Pork Pie” block with a 2″ finished underwelt brim, soft and plush genuine leather sweatband, grosgrain hatband with removable Biltmore hatpin.